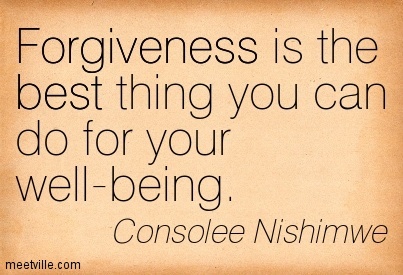 But for me, forgiveness is one of those ‘easier said than done’ tasks. If you’re one who tends to hold grudges (I am), how do you let go of the wrongs and move on, especially when trust is involved? How do you move forward when the guilty party hasn’t found the courage to talk with you directly about the issues that caused the distrust in the first place? I don’t struggle with thoughts of forgiveness when I’m committed to hibernating at home. When I’m home alone, I can stew in my angry thoughts. I run into trouble when paths cross socially. I’m trying to figure out just what exactly I want and whether I can let go. If I expect others to change and grow as a person, I should challenge myself to do the same. Posted on February 2, 2014, in Ramblings, Relationships. Bookmark the permalink. Leave a comment.